Free family city walking tours. Tracking the wild otters of Cape Point. Horse riding and wine tours for couples. And unique private tours and underground or Karoo adventures for big groups. This is our selection of exciting, unique and special day tours in Cape Town and the Western Cape. Go on an open-top safari, visit a waterfall, paddle up the Touw River or bungy jump at Bloukrans. Choose between a 3-, 6- or 10-day tour and have a unique and unforgettable experience visiting South Africa’s most beautiful sites through Off The Beaten Path and Wanderlust Backpackers. 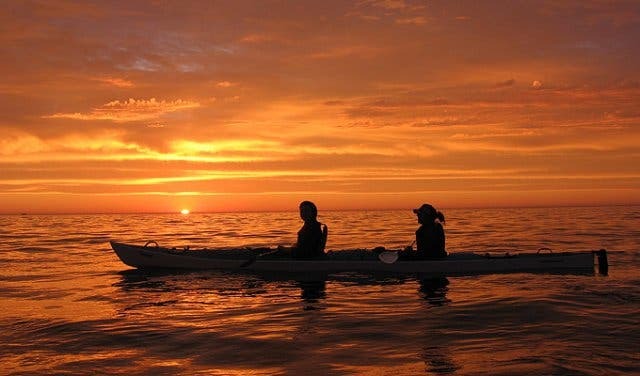 Go paddling in an environmentally-friendly kayak in the Table Mountain Marine Protected Area, and see Table Mountain, Lion’s Head and Signal Hill appearing in a way that makes them seem a completely new. You have the chance to see the Cape Marine Big Five (dolphin, penguin, sunfish, whale, seal) and other marine life at close range. The endemic Heaviside dolphins (and in summer, their babies too) love to play in the Granger Bay area. Paddling at moonrise is just as breathtaking as a sunrise paddle. Your chance to collect any trash that you see in the ocean, so that you can do your part in keeping our oceans free from plastic. Get the experience and kayak with Kaskazi Kayaks. Just for the summer, you’ll have the chance to join Tigger 2 on a sunset cruise every Friday and Sunday evening from 6pm or 6:30pm. Take in the breathtaking sunset views from the water on a two-and-a-half hour cruise, with an Aperol spritz cocktail on arrival, a light snack and live beats from DJ Didier. The cruise experience costs R670per person. See more about this Sunday sunset cruise. 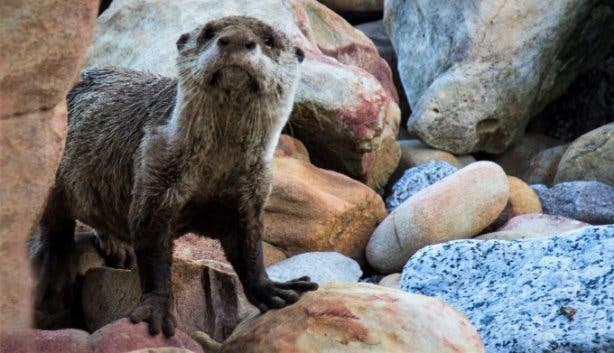 Track and locate clawless wild otters on a guided walk with the “Otter Man”. Learn the tracking techniques, see the habits of these elusive creatures and discover hidden areas of Cape Point along the way. Put on your walking shoes and explore the colourful and vibrant streets of the Bo-Kaap, Cape Town’s historic sites and buildings, or St George’s Cathedral, the “apartheid benches” and District Six. 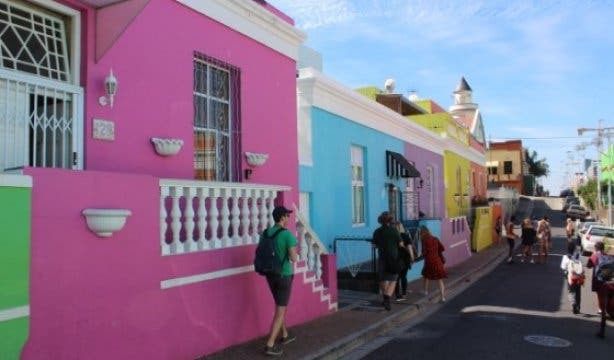 Free Walking Tours operates three very Capetonian tours – Bo-Kaap, Historic city and Apartheid to Freedom tours – daily at 11am, 2pm and 4:20pm from Motherland Coffee Company on Wale Street. And they are completely free. Return to a bygone era. Travel aboard the Shosholoza Meyl train on a two-day adventure into the Karoo, retracing the steps of the early diamond explorers. See iconic landmarks, immerse yourself in true South African culture and share stories with the local winemakers and musicians of the Karoo plains. Your end destination is the one-road town of Matjiesfontein, which remains locked in the ways of the past. 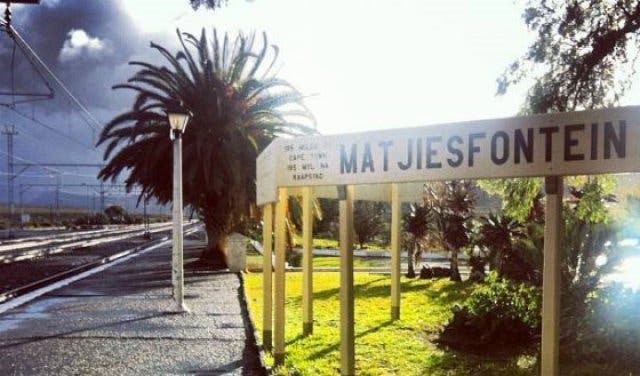 Departing every Friday, you’ll get a fascinating glimpse into the past with this Wine Flies’ Forgotten Matjiesfontein Route Karoo train tour. Price: R1950pp (max 13 people per tour), includes accommodation, train ride, wine tasting, dinner, breakfast and museum access. Order sunscreen and meds via Whatsapp. Get it delivered free in the CBD. And get an emergency travel prescription on chronic medication if you lose yours or run out while travelling. Barr’s Pharmacy on Long Street offers excellent advice and personal service in Cape Town. 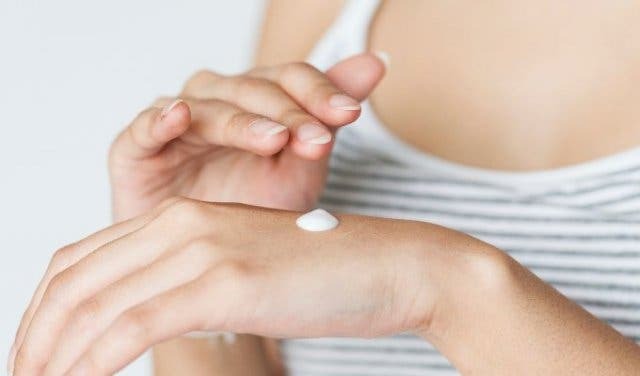 And for summer, you can speak to the pharmacist directly about sunscreen and seasonal ailments and medicine. You can even have your medicine delivered for free in the CBD by Barr’s Pharmacy. And Barr’s are also specialists in travel medication in Cape Town. 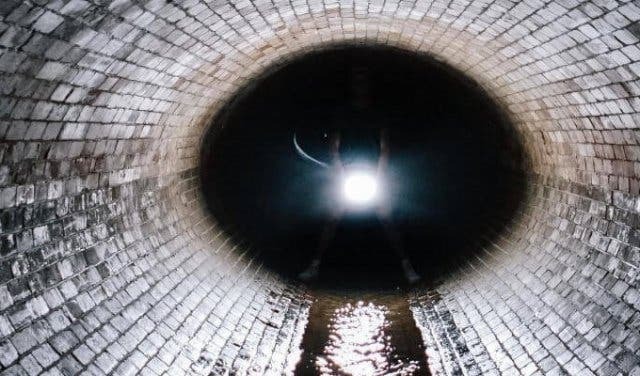 The secret tunnels of Cape Town in a unique underground adventure. You’re given a torch and gumboots before descending into darkness, and then you’re ready for discovery. 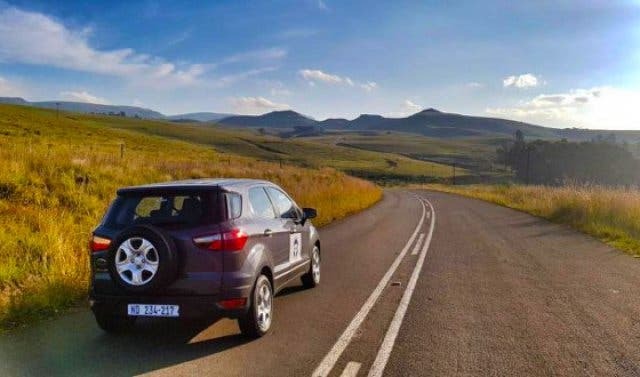 This tour by Good Hope Adventures is definitely one for the thrill-seekers. And it’s best done in large groups. Spot the Marine Big 5 with 10% off an Ocean Safari boat ride. Go seal snorkelling or diving – also get a 15% discount with our unique link. Get qualified or organise your next scuba diving trip. Learn to free dive around Cape Town. 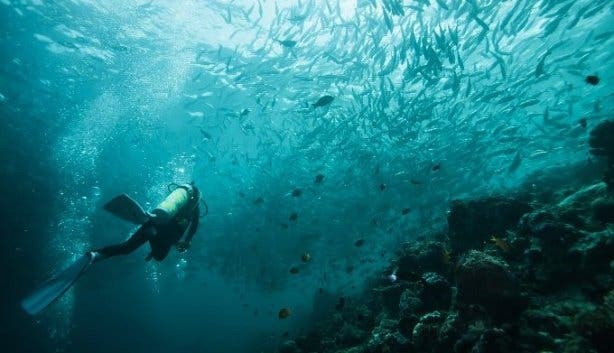 Or just take your pick from this awesome selection of ultimate Ocean Experiences. A full day dedicated to exploring Cape Town’s emerging craft scene. That’s beer, gin, coffee, craft markets as well as local stores and hidden city gems. The Craft Crawl adventure by Local Knowledge includes day and night-time adventures and it’s good for a group of friends. Price: R850pp, includes transport and driver, local guides, all entrance fees, plus: coffee, beer and gin tastings. 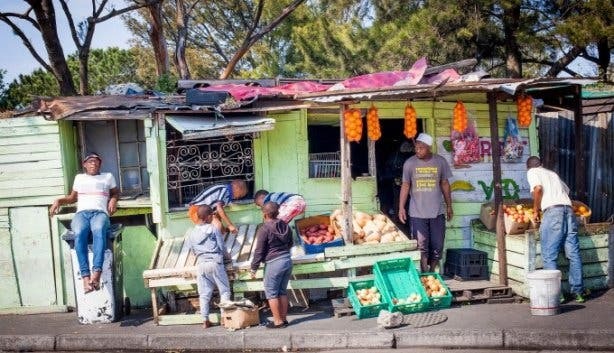 Taste your way through Cape Town on this flavour-filled guided walking tour of the Mother City. Taste traditional African cuisine and discover hidden culinary gems. 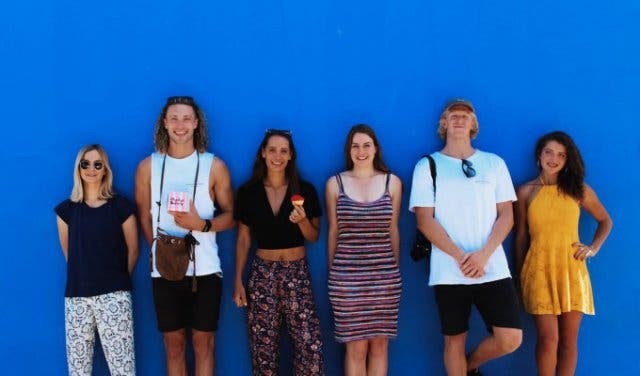 If you’re looking for something custom, or family-friendly, or rich in culture, passionate owner Elsje Erasmus will cook up the tour experience you’re craving with Cape Town Culinary Tours. An ultimate bucket list item. Cape Town from the air. 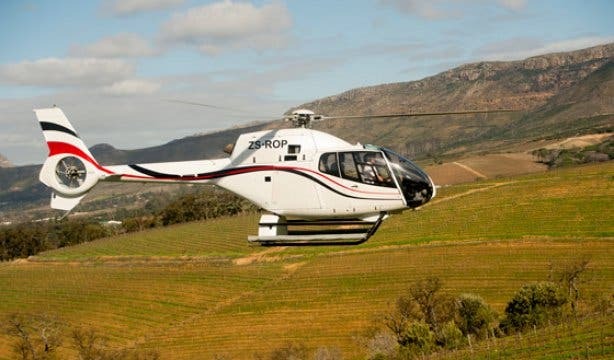 From quick city helicopter flights to helicopter trips to Robben Island, romantic helicopter charters to Stellenbosch to VIP Winelands rides from the V&A Waterfront. Plus: Cape Point helicopter tour options and exclusive helicopter specials. There are so many awesome experiences waiting to be discovered with helicopter rides in Cape Town. What's more, CapeTownMagazine.com readers get the Hopper flight for only R1260pp (that's a 10% discount) via this secret link. Or get a 10% discount on ALL other flights with Cape Town Helicopters. Claim yours by using our unique booking code: FlyAirbus. Combine a Cape Town Helicopter flight with an Ocean Experience, and you'll get 10% off. If you know what you want to see and how much time you would like to spend there, rent a vehicle (with driver) with AroundAboutCars. Get unlimited kilometres with no excess, discounts on accommodation, free delivery, collection of cars at all major airports and 24-hr countrywide emergency backup. It’s worth it to rent a car with AroundAboutCars. Laid-back day trips in a colourfully painted minibus exuding good vibes. You’re driven all over the city to the coolest road-trip music, discovering all the city’s hidden gems and local hot spots. 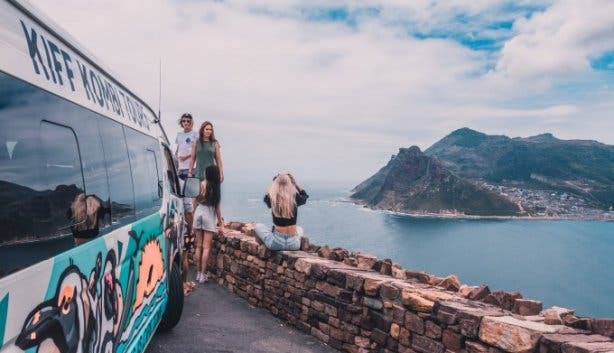 From an essential Urban Safari to the speciality Craft Beer Safari and The Gin Jol to the new Constantia Sunday Funday experience, The Road Trip Tour to Cape Point; the Wine, Beer & Biltong Safari to Stellenbosch, Township and Street Art Tour and more. 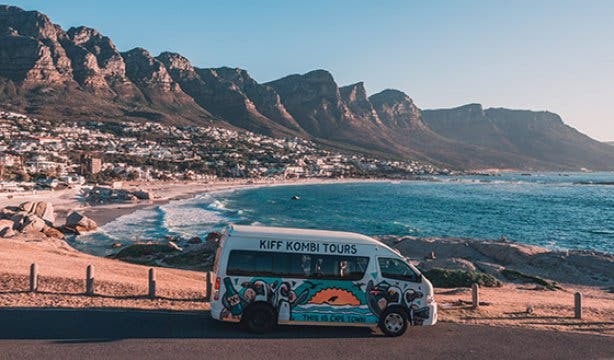 See Cape Town road-trip style with Kiff Kombi Tours. A fun family-filled private tour dedicated to exploring some of Cape Town’s best gems, tourist attractions and beautiful landscapes. Your expertly trained tour guide will take you on a visit to the Two Oceans Aquarium, Giraffe House, Lion Park, a few beautiful wine estates, the celebrated Spice Route and more. A uniquely tailored private Cape Town tour hosted by Kabura Travel Tours. 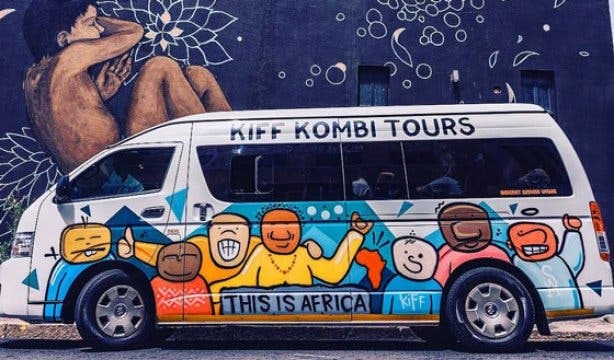 Price: R895pp (children), R1400pp (adult), includes private driver and tour guide, all entrance and wine tasting fees, bottled water, complimentary coffee at the Spice Route. A day dedicated to discovering the Cape Winelands. Visit world-renowned Stellenbosch, Paarl and Franschhoek. Explore some of the best-kept local secrets. The two fun-loving “Wine Lords”, Riaan Renke and Francois van Binsbergen, and their team of knowledgeable guides add a healthy dose of charm and humour to each distinctively South African trip by Wine Flies. 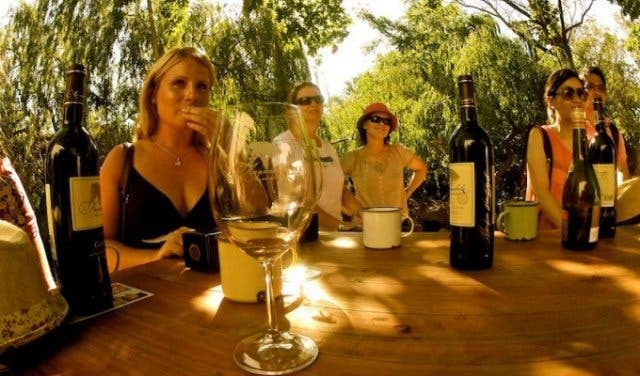 Price: R880pp, including doorstep pick-up and drop-off, all tastings, food pairings and lunch. Max 13 people on a trip (bigger tours and private tours can be arranged). Book online. 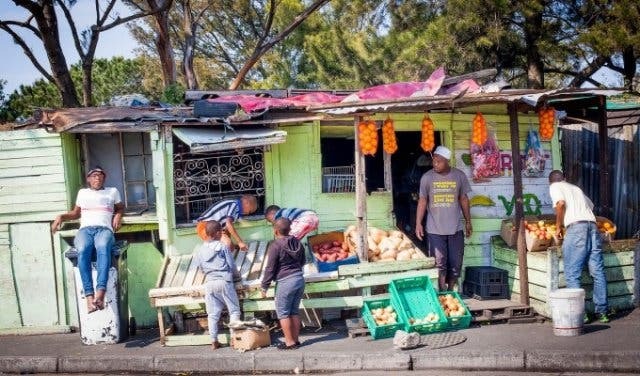 Step outside of the glamorous CBD and into the vibrant heart of “the real” South Africa and its lively township streets with this authentic half-day township tour. Includes Langa, Gugulethu, District 6, Bonteheuwel and Joe Slovo informal settlement. Engage with the locals and experience the vibrancy of township life first-hand. It’s a local tour led by locals with Camissa Travel & Marketing. 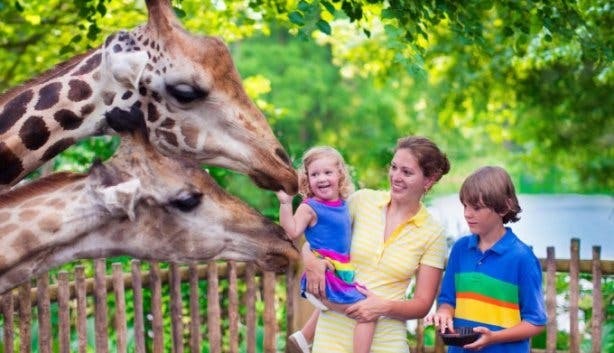 Price: From 550pp (adults), R275pp (children under 12) for half-day tours. A driver picks you up from your accommodation in Cape Town and surrounds. 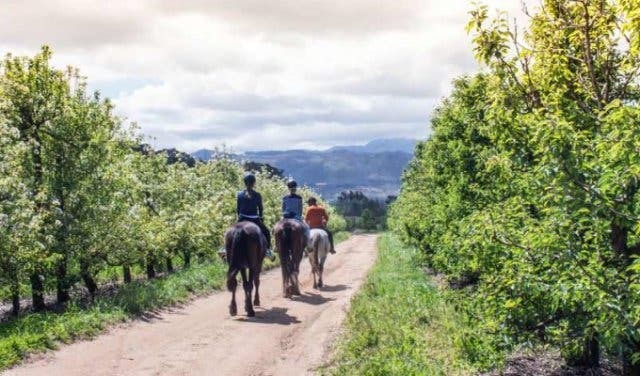 Then you’re off on a romantic guided horseback tour of Franschhoek and various vineyards and estates, ending in a food and wine tasting experience. A very romantic Western Cape winelands experience – though group and family tour options are available, too. Experience the ride and wine tour with Explore Sideways. Price: From R2281pp, including pick-up and drop-off from your accommodation in and around Cape Town, a private guide/driver, horse riding tour, vineyard tour and three wine tastings. Calling all thrill-seekers – get up close and personal with an apex predator. 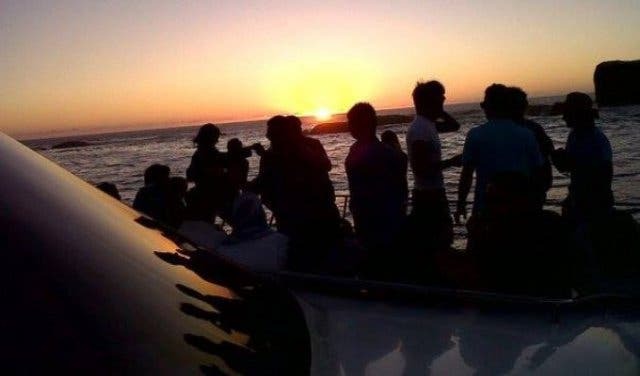 Dive the famous Great White Shark hunting ground of Gansbaai, a journey that starts at the crack of dawn. 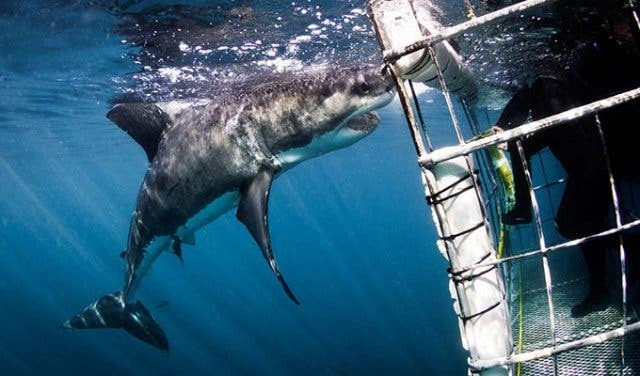 Also combine your tour with whale-watching, a scenic flight or a safari game drive with the White Shark Diving Company’s Gansbaai shark cage diving tours. Taste the unique local wines, traditional foods and the beauty of Stellenbosch, Grabouw and Hermanus. Discover and taste your way through the Cape Winelands onboard a “musical chair minibus”, enjoy an authentic boerewors and cider pairing in Grabouw, and then do some whale-watching in Hermanus, followed by a meal of local fish and chips. 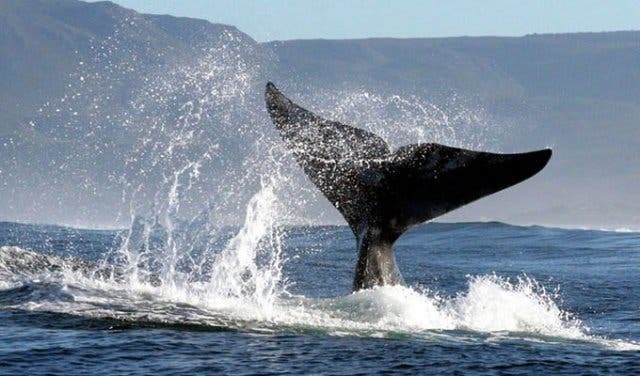 Wine Flies invites you on this authentic Whale, Wine and Wors tour. Price: R880pp, includes all tastings, food pairings and lunch. 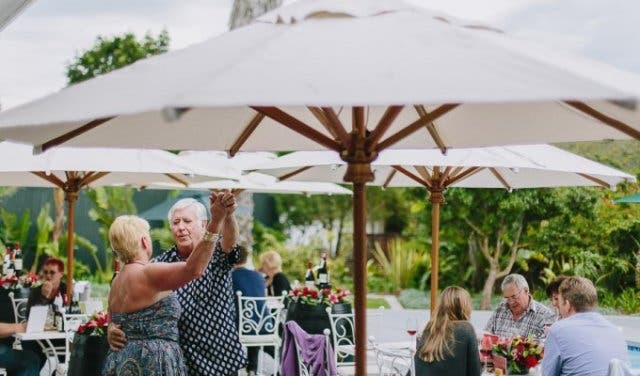 PLUS: Discover exciting new experiences like wine-tasting in the middle of a lagoon and pirate-themed mini-golf to private fishing boat charters and picnics by the lake at Benguela Cove. 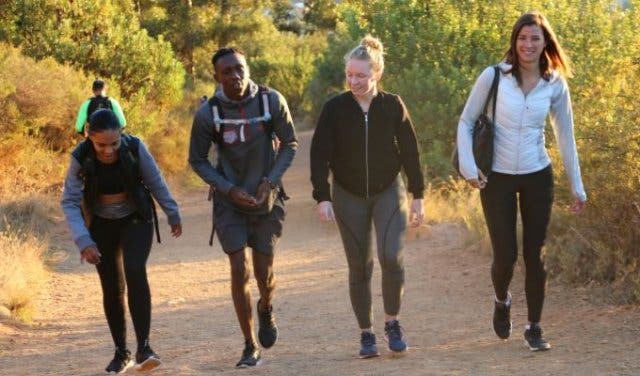 Get some fresh air and exercise, enjoy exquisite scenery and find some hidden gems in our collection of places worth hiking in Cape Town. 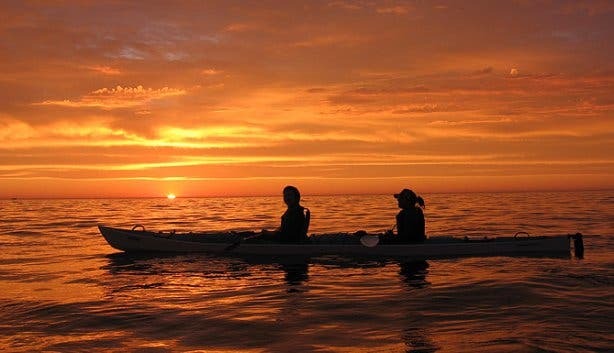 Get out there with our selection of super unique adventures and things to do in Cape Town. Also check out the all-new alternative Cape Town bucket list. Spend quality time using our collection of things to do with kids, free and cheap things for the family and activities for couples around Cape Town. Explore Cape Town behind the wheel of a powerful race car with Cobra Experience.